The chemical triggers enzymes in the body that either kill cancer cells or keep them from growing. Just 1 ounce of sprouts has as much SGS as 1 1/4 pounds of broccoli. 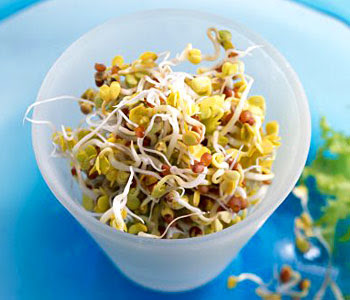 People who ate about a half cup a day of sprouts lowered their total cholesterol by an average of 15 points.